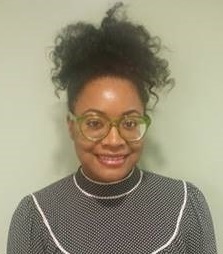 Roshona Jenkins serves as the K-12 STEAM Program Instructor. She is a Computer Science Major at Midlands Technical College. Roshona’s responsibilities include teaching in the classroom and off-site projects. Since 2015 Roshona has been with IT-oLogy, first as a volunteer and now as an instructor. During her time here, she has developed a passion for robots. In her free time Roshona enjoys baking, reading and a good cup of tea.